It's spring — right? Regardless of what Mother Nature has to say about it, Misery Loves Co.'s fourth annual maple season show must go on. Sweeten up a Winooski Wednesday with maple-laced cocktails courtesy of Stonecutter Spirits and social-hour finger snacks. Then, head to MLC's intimate dining room to feast upon salty-sweet maple teriyaki, rustic Québécois tourtières and glazed pheasant, among other earthly delights. Fourth Annual Sugar Shack: Wednesday, April 5, 6-11 p.m., Misery Loves Co., Winooski. $65; reservations required. Info, 497-3989; miserylovescovt.com. 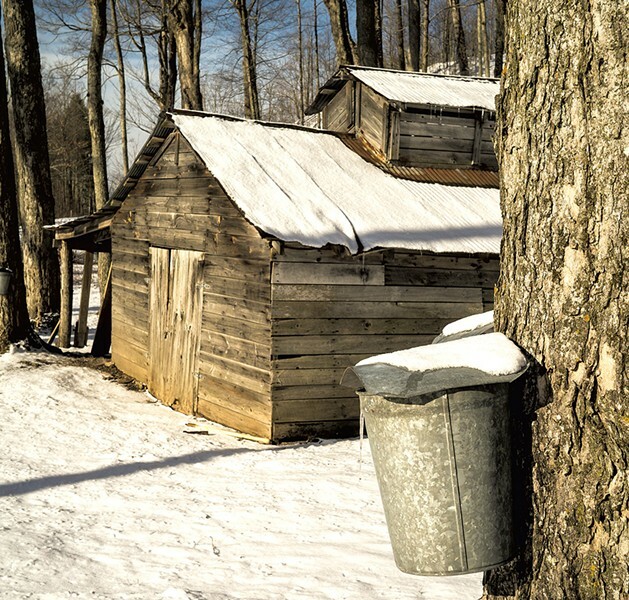 Sugaring Sunday: Learn the old-fashioned ways of gathering, boiling and bottling maple sap. Attendees meet in the church parking lot and carpool to West Hill Sugar Orchard. Sunday, April 2, 11:45 a.m., United Church of Christ, Warren. Free; preregister. Info, 244-7036. Ben & Jerry's Free Cone Day: The Church Street scoop shop is still closed for renovations, but free ice cream lives on in Waterbury, Rutland and at the University of Vermont Davis Center. Tuesday, April 4, statewide. Free. Info, benjerry.com.